I got pretty excited when I found out about this. I love vampire stories, and combining Sherlock Holmes with vampires seemed like a winning combination. I just started watching the BBC’s Sherlock a few days ago (I’ve seen the first two episodes of series 1 as of this writing), so I’m new to the current resurgence of Holmes and Watson and haven’t read any of the Conan Doyle stories yet. Unfortunately, that might have worked against me, as I found the story difficult to get into in regards to orienting myself in the plot. It got a bit better about a third of the way in, but I still couldn’t shake the slightly confused feeling. The art is highly, minutely detailed, especially when it comes to scenery, but it all kind of blends together because of the dull color palette (browns and blues and…that’s it). The design on the vampires is probably the highlight (aside from the cover and the frontispiece), as they are ugly, animalistic monsters in their true form. The gore is as understated as the rest of the artwork; red blood nearly blends into brown backgrounds, so nothing is over-the-top. The writing is very straightforward, with few frills, but that’s because Sherlock is narrating and it’s how he thinks. Something to note is that this is a solo adventure; Watson believes Sherlock is dead, and Sherlock wants to keep it that way for Watson’s safety. I was disappointed with the portrayal of women in the story. Without giving too much away, there’s only one main woman and she’s not ideal (kind of regulated to a sidekick), while the other women are basically there for decoration, to show off their breasts, and to get a mention of prostitution into the story. I realize it’s 1891, but I was still a little put off. There’s also one instance of an Asian slur in a book that’s otherwise clean, language-wise. The character who uses it is a sleaze, but it still seemed out of place (and offensive). I’d probably only recommend this to fans of Sherlock Holmes who are really eager for something new; casual fans such as myself won’t like it as much, if at all. 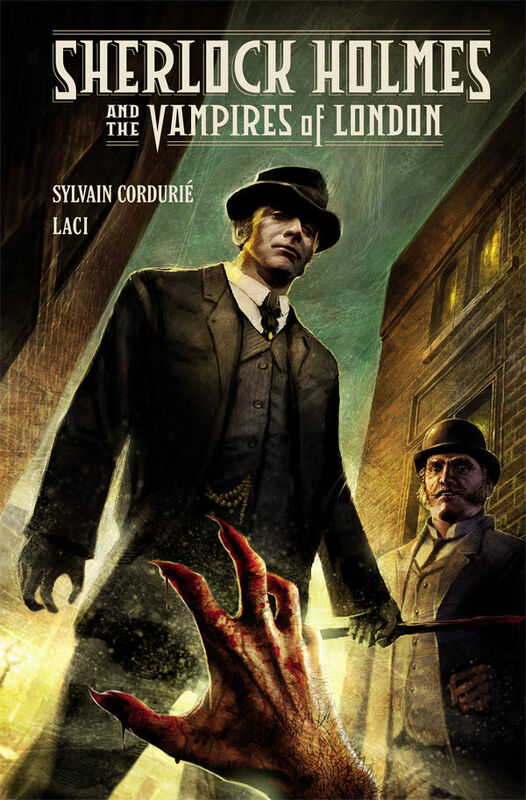 Get Sherlock Holmes and the Vampires of London today from Dark Horse or Amazon. McKellen has created something new, a Holmes whose sharp edges are softening into a late-life understanding of the limits of logic and the worth of feeling.